FinTech : will Finance be the next disrupted industry? Pierre Méric is a student in Marketing & Innovation at Dauphine Paris university. He’s in internship at Orange, performing marketing and community management on crowd-innovation platform Imagine With Orange. In this post, he draws a 360° panorama of initiatives launched by creative FinTech start-ups, and innovative Mobile Money services. Using these FinTech, the world of finance and insurance is now reinventing itself. Here is a quick tour of the latest developments. The Bitcoin, created in 2009, pioneered the concept of cryptocurrency to everyone. After darkweb users, it is now the turn of financial actors to show interest in this digital self-regulated money. Pioneer in mobile money service, Orange is showing interest for Bitcoin start-ups as well. Fortunes are quickly made ​​and quickly disappear , and the system now adapts slowly to daily life situations: in a Dutch town, nearly 50 stores today accept this currency. What are the next steps for encrypted virtual currencies like BitCoin? The trend of the collaborative economy invests financial sector: crowdfunding sites like Kickstarter or KissKissBankBank multiply, and specialize themselves. Thus we find sites to fund students or for local projects down your home . But loans and private insurance, also called P2P Lending, soar as the same speed, or even faster: Lending Club , a New York start-up created by a French entrepreneur, is now valuated at over 4 billion dollars! Some companies leverage the power of Big Data in the applicable financial sectors . By analyzing huge amounts of data and building complex algorithms, these young shoots promise faster loans than those provided by banks, and insurance at a fair price according to your behavior … So goes the digital. Will it give rise to new forms of online consulting, prepare for retirement or to finance personal projects for example? Finally, will there be a day where objects connected will help us manage our finances? For now, few players are emerging in this market between FinTech and the Internet of Things … What if you had an idea? Every one of these themes are being investigated during the 4th campaign of Imagine with Orange on mobile money. 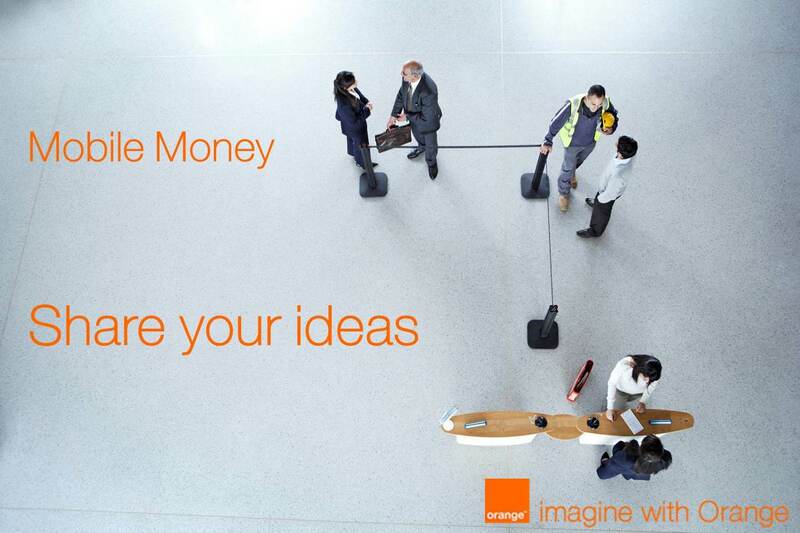 If you have an idea concerning one of them, come, and share it before July 2nd on imagine.orange.com to win an innovation workshop in Paris or a connected device! ‘Imagine with Orange’ is a crowdsourcing platform for innovation, and a launchpad for entrepreneurs. Every quarter, Imagine suggests a topic: connected family, connected objects, smart city… Consumers present their ideas in a few words on the platform. Then, ideas go all around the world. Hundreds of people will comment on them and enrich them. Orange rewards the people whose ideas were most appreciated: they can either choose between a connected device, such as LeBloc, or be invited to Paris to take part in an innovation workshop, with Orange, to dig in into the potential of their idea.